Tower will get half the money it was banking on receiving from one of its reinsurers further to the 2011 Canterbury earthquake. It has reached an agreement with Peak Re that will see Tower receive $22 million of the $43.75 million of reinsurance, or Adverse Development Cover, it lay claim to in the dispute. While details around the dispute have been kept confidential, a Forsyth Barr analyst in 2016 told interest.co.nz he believed it arose due to the speed at which the reinsurance, taken out in 2015, was called upon by Tower. He maintained this would've caught Peak Re off guard. Because Tower had recognised the full $43.75 million as a receivable in its financial statements, the outcome will see its profit reduce by $15.2 million after tax. In the year to September, it reported a loss of $8 million after tax. 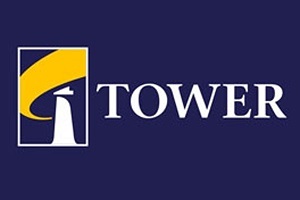 Tower expects the settlement to see it reduce its solvency capital to $136 million, which is $28 million above the minimum required by the Reserve Bank of New Zealand. The company says it also has $39 million of “corporate cash”. Tower Chairman, Michael Stiassny, says reaching an agreement with Peak Re enables Tower to fully focus on the future. “During our recent capital raise, the Board indicated that real risk existed in both the process and the binary nature of the arbitration,” he says. “The Board determined that a commercial settlement satisfactorily dealt with this unpredictability for both parties, and created welcome certainty for our shareholders and our business. One of the major risks Tower still faces is that around $65.1 million of recoveries from the Earthquake Commission (EQC) are in dispute. It, along with IAG, has issued proceedings against the EQC seeking compensation for the money it spent remediating Canterbury quake claimants’ land. A court hearing is expected late this year. Tower’s Peak Re announcement hasn’t had a major impact on its share price. Tower, directors, executive and staff. Looks like, and only in my opinion of course, Peak Re has more or less, done unto you as you have done unto a great number of your Canterbury EQ claimants. How ironic. How does it feel? Pivotal to securing ADC, is the integrity of event reserves and good faith disclosure by insurers. By April 2015 claim estimates for known claims should have been reliable given Stiassny's previous guidance to the market that Tower had already resolved over 90% of its claims. That means only a minor number of older claims - less than 10% - had further escalation potential. By this stage this small number of remaining claims would have been the subject of exhaustive engineering investigation and costing. Tower experts would have carried out cost escalation risk calculations for each claim and that number would, or should, have been factored into the global event reserve for the Christchurch event. Actuaries would have put a number on this variable, upon which Peak Re would have relied when calculating their ADC exposure for this tranche. Where things allegedly came unstuck for Tower is that over 2016 it 'had to reopen' 98 claims previously regarded as settled, and added $78m to its reserve to allow for this, plus 297 new claims supposedly due to poor quality EQC assessments and the slowness of EQC to identify them as over cap. Why so many ? How did Tower get the 98 claims so wrong and how do these 'new' claim numbers compare in ratio to that of other insurers? All insurers knew by 2015 that a significant number of claims were coming from EQC. Towers actuaries would have done calculations on the likely volume and should have informed Peak Re accordingly. Some cost underestimation is understandable but 297 claims seems a large number for an insurer the size of Tower. And why did Tower's claims triage process not identify more of the 297 claims and accept them as over cap much earlier? Perhaps part of the explanation is that some insurers took a 'we will wait for EQC to put it over cap before we open a claim', others surveyed properties notified as having significant damage, not always waiting for the EQC machine. Presumably Tower fully disclosed its approach and claim reserve setting processes to Peak Re . If so Peak Re didn't do the math properly or didn't adequately understand the risks. That there was a dispute might indicate the good folk at Peak could be a bit grumpy about the quality of some information provided by Tower. Seem to recall that Swiss Re went on record not so long ago, about what they considered were highly unsatisfactory elements in the reporting they received from Tower? It looks like the Lighthouse has been luring ships onto the rocks. If EQC is Scylla, then Tower must surely be Charybdis. The slow drip feed of over cap claims from the Commission has certainly allowed insurers to spread their losses over the last seven financial years and has sucked in both claimants, investors and reinsurers. But a substantial additional number of claims may be coming Tower's way soon, depending on the policies of the new-look EQC board and how quickly the pool of badly damaged and under-assessed houses is pushed over the cap. Tower is reportedly offering to assess properties before they are pushed over cap, possibly to try to get a handle on its actual total liability. There has been no impact on the Tower share price so far, but this will not improve its financial position much. Its share price has fallen from $2.60 two years ago to $0.70 this week. And with between 50 and 60 earthquake litigation cases in the High Court, Tower has a substantial liability risk to consider as well. So should I shift my insurance away from them before they collapse? If so where? Poor quality EQC repairs don't necessarily translate into over cap claims. It often just means EQC has to go back and re do the repairs, with insurers not involved. And the limited number that do go over cap are typically relatively modest sized claims, given most seriously damaged houses would have been already thus identified. And there are often multiple EQC caps available, which contains the insurers liability. An unknown for insurers and EQC is the extent of power Megan Wood's peoples soviets will have to arbitrate. Reinsurers will quickly become nervous if they give decisions that are outside established contract and insurance law. And finding the right people to sit will be daunting given the high levels of complexity. The issues she selects to advance under state funded declaratory judgments will also be interesting. Will she be as keen to test some potentially expensive crown funded issues such as those around EQC's liability for land where ambiguity remains, as much as the more politically popular bringing of insurers to heel ? The people of NZ were forced to pay premiums to EQC to get statutory cover .. so EQC should be forced to pay us. Simple. The law used to say that we were to be paid within ONE YEAR and National changed this.